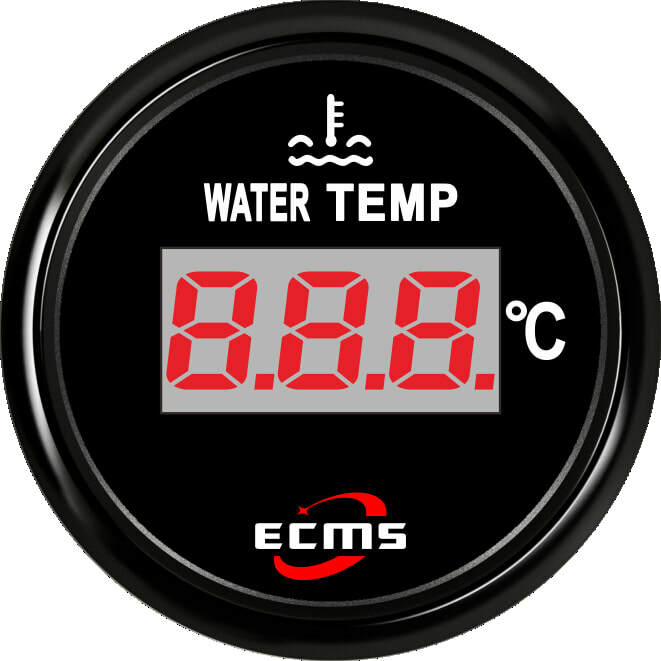 ECMS digital 2" gauges are all fully water resistant and have glass crystals for extended exposure in a marine environment. All gauges have a red back light. Input - 10 to 184 ohm. 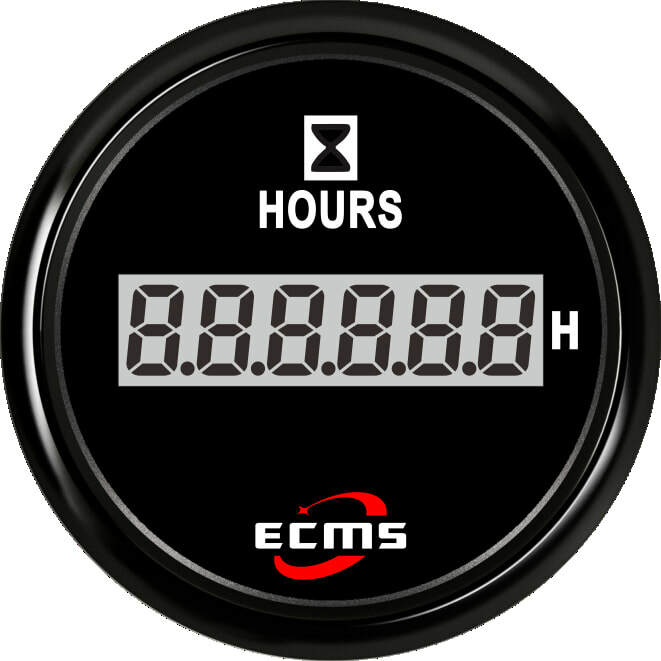 This is the 'ECMS' brand marine Engine Running Hours gauge. These gauges provide a excellent replacement or new addition to any boat's control system. The KUS brand can be used within a wheelhouse or fully exposed on a open boat deck. They have a stainless steel bezel and most gauges have a glass crystal. They are manufactured to be waterproof once mounted and have anti-fogging seals. They have been designed for long-term exposure to the elements and can be used on any type of boat in any temperature zone. Bezel made from SUS 316 Stainless Steel. Indication range 0 to 99999.9 hours. Working Voltage range 8 volts to 32 volts. A 52mm hole is required to mount the gauge to. It will mount through up to 20mm thick and is secured with a hand tighten nut. Please do not use tools to tighten as this will damage the gauge. If a water tight seal between the gauge and bulkhead is required a 52mm rubber gasket (not supplied) should be used. Full wiring instructions are supplied with the gauge as is a waterproof wiring plug with pigtail. If you have a 24v system a resister is supplied to insert into the + side of the wiring. The gauge has red back light option. 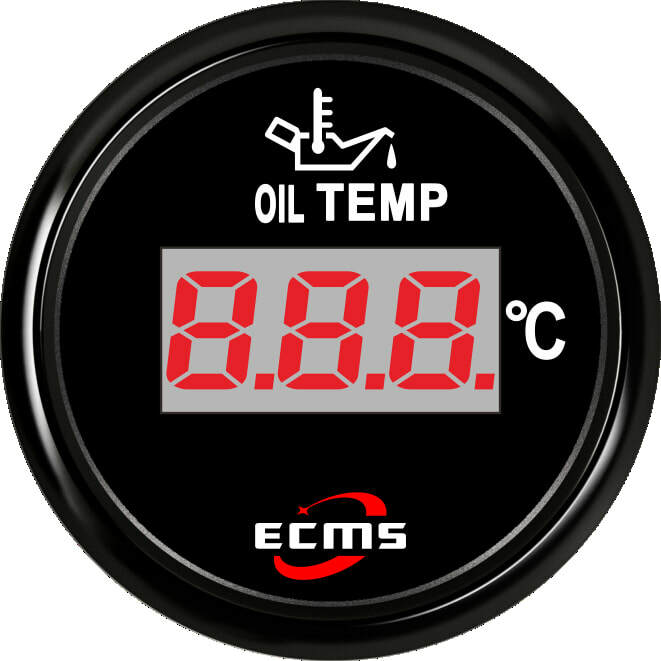 This Tachometer has a convex glass crystal and stainless steel bezel which give a very modern look. The dial is black that will indicate the engine RPM from 0 to 10000 and will count the number of service hours for your engine. It is possible to select the back-light colour of the Neptune range choosing from Red,green, blue, white, yellow, orange, purple. input type - connector with pigtales.